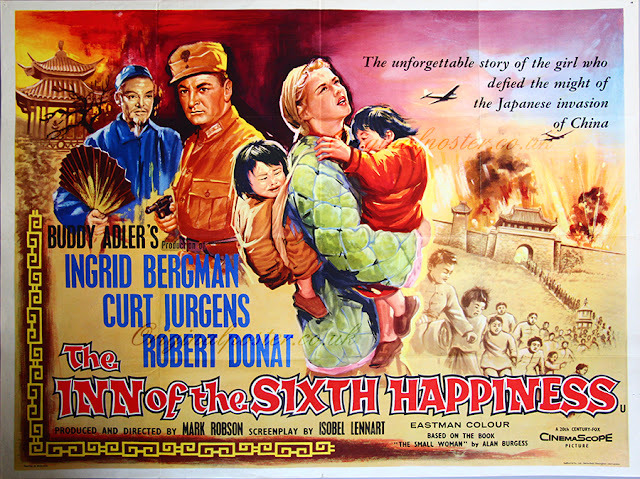 Weird WWII: "The Inn of the Sixth Happiness"
"The Inn of the Sixth Happiness"
A British missionary makes her way to China to do what she can and then soon finds herself counted as one of them. But not everything is well as the Japanese invade and its up to this woman of "peace and love" to evacuate 100 orphaned children before they are trapped behind enemy lines. Can she do it or will they all be consumed by the might of the Imperial Japanese Army?! This flick had a lot of potential and had a decent plot but failed in almost every way in execution. Check out the trailer below and see what ya think.